Everyone has heard about Hulu. The platform is an online content streaming service that puts a wide variety of TV shows and movies at the disposal of its users. However, unfortunately for many, Hulu is geo-restricted. This means that based on your location you might not have access to it. 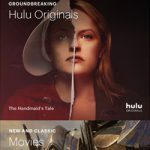 Outside of the USA and Japan, Hulu tells all those attempting to access its content that they cannot view it. The service is not available in Europe, Canada, Australia and other parts of the world. If you want to watch Hulu in Australia you would not be able to do so without a little help. Why can’t I watch Hulu in Australia? We have mentioned above that Hulu is a geo-restricted website. Geo-restrictions or geo-blocks refer to the practice of restricting access to certain types of data based on geographical location. Websites that use such practices take advantage of different methods that pinpoint a user’s exact location and stop him from viewing that content. More often than not movies and tv-shows are the ones that are geo-blocked. The reasons behind this choice are licensing and copyright, blackouts and price discrimination. For example, Hulu is a popular service that is exclusive to the USA and Japan. It falls under the licensing and copyright reason of geo-blocks. However, this does not mean there are no ways around this. You can watch Hulu abroad and yes, in Australia as well, by taking the long way around. What does that mean? Using a Smart DNS of course. In order to get Hulu in Australia, a Smart DNS is the way to go. This service allows you to bypass geo-restrictions. It does so by acting as a bridge between the data you share and Hulu. As such, to Hulu the fact that you are from Australia will be virtually undetectable. This means you will be able to watch Hulu in Australia and in any other geo-restricted region. A Smart DNS supports a wide variety of platforms. 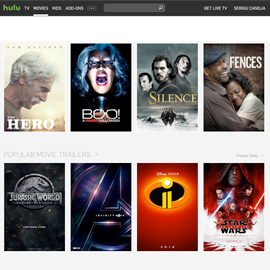 It is able to unlock Hulu regardless of whether you are using a Mac, PC, Roku, Xbox or other devices. 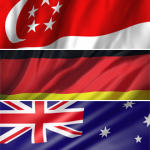 The system allows you to bypass restrictions from multiple countries at the same time. So for example if you want to watch Hulu in Australia, at the same time you will also get access to CBS Canada. Does a Smart DNS come with any downsides? Perhaps a decrease of speed? These are questions that users have been asking themselves and the answer is, no it doesn’t. A Smart DNS does not decrease the speed of your internet connection and thus allows you to watch movies in HD. Moreover, it does not carry any other drawbacks. Hulu can only be paid by using American or Japanese cards. As such, even with a Smart DNS, another step needs to be taken in order to get access to the platform. The next step you have to take is purchasing a prepaid US credit card. This card works like any other card issued in the US. Once you have ordered it, you will receive a message with the details of your new card. You can use it in order to set up your account and watch Hulu in Australia. Now that you know all the tips and tricks to watch Hulu in Australia, it is time to choose the best Smart DNS for you. This is where SmartyDNS comes in. Our service allows you to keep your original internet speed and make the best of your connection. You can get access to over 280 geo-restricted websites such as Hulu, iTV Player, Channel 5, VH1 and others. And you can use all of them to unblock Hulu in Australia. 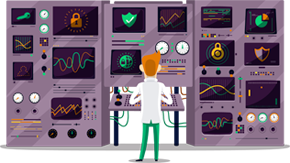 SmartyDNS can be tested during a free three day trial before purchase. Moreover, even afterwards, if you are unhappy with our services, we offer a 30-day money back guarantee.